We hear all the time that websites should be optimized to help them rank higher in search engine results. Because today’s search algorithms are complex and change frequently, positioning the content on your practice website for maximum reach is something that benefits from the guidance of an SEO expert—but it’s important to understand the types of results that are achievable, and how long it will take to get there. As you interview potential experts, here’s what to keep in mind. Q: What, if anything, should an SEO expert promise— and should those claims come with any guarantee? No. 1 ranking in Google. Any type of ranking, traffic or calls guarantee from SEO experts is highly suspect, because there is no way to guarantee something they can’t control. This includes local Google map rankings. Beware of SEO experts who promise quick results, because they may be utilizing “black hat” tactics, which are essentially shortcuts that disreputable SEO experts use to “achieve” higher rankings. These methods will put your online marketing at risk, and search engines will likely penalize this unethical activity. Unfortunately, you’ll be the one punished, not the SEO vendor. Instead, SEO experts should explain what they can deliver and how they expect to help you hit your goals. You’ll want to ensure the results are within your target area, and not bogus metrics. If you see a 40 percent increase in traffic over a month, but most of the traffic is coming from Canada while you’re located in New Mexico, then the traffic won’t convert into new patients. An SEO expert should also conduct an analysis of your online digital history and send reporting metrics to keep you updated. 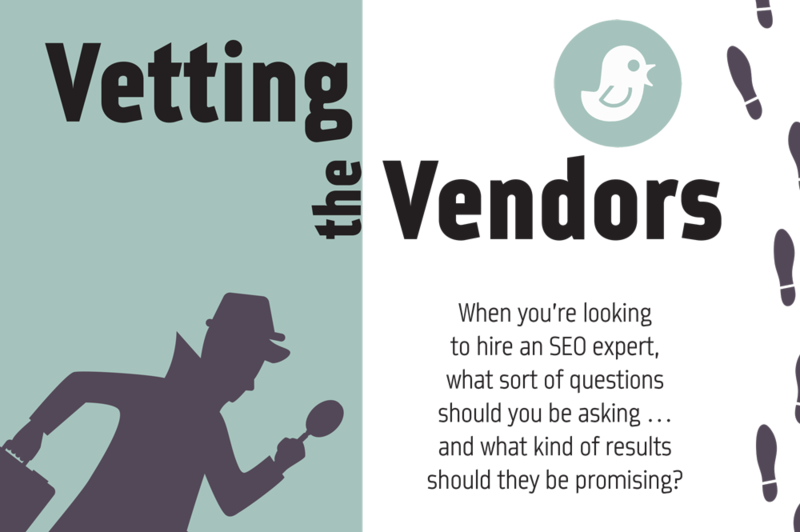 Q: What sort of results should dentists realistically expect when they engage an SEO expert? Is it realistic to say, “I want to be on the first page of Google results when someone searches ‘[name of town] orthodontist’ ”? To want to be in the top five non-ad results? If not, what are some more feasible expectations? A: A variety of factors contribute to SEO results—region, competition, a new website or domain, or a new physical office location, for example. Generally, it takes anywhere from three to nine months for SEO to start “working.” Search engines crawl and index your website every three to four weeks, so it can take time for them to identify what services you offer—Invisalign, braces, teeth whitening, etc.—and to rank your website accordingly. There are also frequent updates in search engine algorithms that can affect SEO results. There already have been four Google algorithm updates in 2018! An orthodontist in a smaller community with less competition will likely experience an increase in rankings and/or calls more quickly than an orthodontist with more competition in a larger city. Authentic optimization takes time and patience—it’s not something that you simply set and forget. You should speak with an SEO expert to see what’s a realistic expectation based on your online history and market. Q: What’s the typical fee structure, and how is it calculated: hourly? by the page? by the post? Hourly SEO costs vary across countries, with a range of $76–$200/hour. By-the-project pricing is popular, and represented by four price ranges: $1,000–$1,500; $1,501–$2,500; $2,501–$5,000; and $5,001–$7,500. Monthly pricing varies, and the two most common are $251–$500/month and $2,501–$5,000/month. Project-based pricing is most popular, but monthly pricing and hourly rates are a close second and third. Software companies and web design agencies in the dental/orthodontic space package SEO with other services such as web or social media to fulfill your digital marketing needs. Q: If someone has rudimentary web skills—let’s say he can work the back end of a WordPress site—is SEO optimization a task that he would be able to do on his own? A: WordPress is a great platform that makes it easy for all types of users to create a website, and it has the ability to easily install plugins to help extend the functionality of sites. However, any type of optimization or website structure changes require the knowledge of why these changes are required, and how to best implement them. It’s great for offices to understand how to make basic web updates like text and picture changes in WordPress or other website editors, and it’s something that can be learned via website tutorials. It’s important to keep in mind that technology changes quickly. WordPress and other platforms update often, so continual education and tutorials are necessary to stay up to date. An incorrect optimization strategy or website edit could easily result in an error on your website, which could hurt your website and online presence. Q: How long does it usually take between instituting SEO recommendations and being able to see results online, and why is that? A: It varies, but generally you’ll see SEO recommendations instituted online within a couple of months. Google’s crawl process is algorithmic; computer programs determine which sites to crawl, how often, and how many pages to fetch from each site. This means that some changes to your website may not be indexed for several weeks at a time. It also depends on off-site factors like citations, reviews and social signals. You should ensure that your SEO service includes citation management—updating and claiming listings, suppressing duplicate listings, etc.—and a review strategy to help you obtain new reviews and manage current reviews. Also, there should be a complementary social media strategy that focuses on Google, Facebook and Instagram engagement. Together, these off-site factors will help influence your on-site SEO recommendations to feature a complete strategy. If you don’t see your results within a couple of months, don’t fret! Remember, SEO takes time. It’s something that you should implement for the lifetime of your practice. Amy Racher is the search manager at Sesame Communications. Racher has a background in journalism from Western Washington University, and a master’s certificate in Human Centered Design & Engineering from the University of Washington. She has more than seven years’ experience in SEO, with an expertise in local SEO and social media. 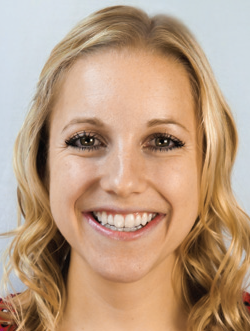 When Racher is not working, she enjoys hiking, running and jet-setting with her husband, Tyler, and their dog, Scout.